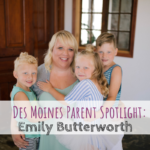 I am excited to be launching a new series on Des Moines Parent! 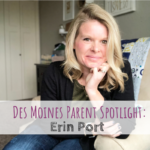 ‘Des Moines Parent Spotlight’ is a series that highlights different parents in central Iowa. 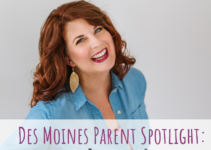 Des Moines is filled with amazing parents rocking parenthood, work, personal life and more. 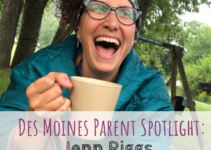 Here is your chance to learn about some of their best advice, their favorite places for their children to play, the perfect night out, and how they juggle it all. 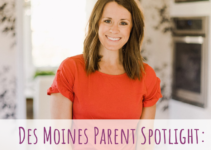 Our first ‘Des Moines Parent Spotlight’ is the founder of Catch This Mama, Danielle Gohr. I have been listening to the Catch This Mama podcast for a while and have fallen in love. Each episode is filled with a great message and amazing information for all moms. I also had the honor to be a guest a few weeks ago and chatted about all things postpartum. 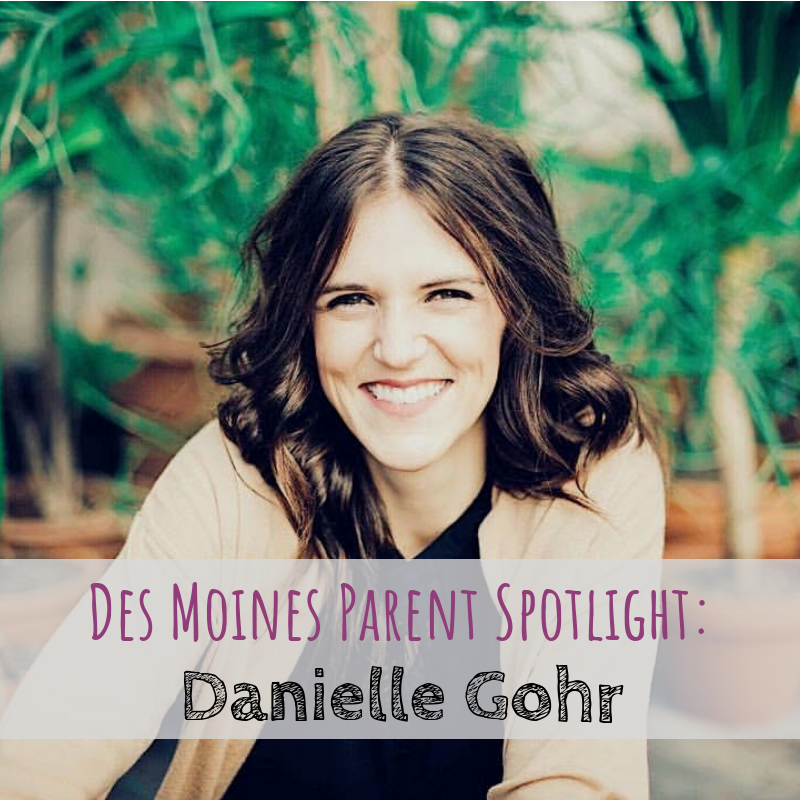 Learn more about Danie and about the Bomb Mom Getaway below. Who is going with me?! Give us a little background of your family and personal life! How many kids do you have? Have you lived in Des Moines all your life? Etc. 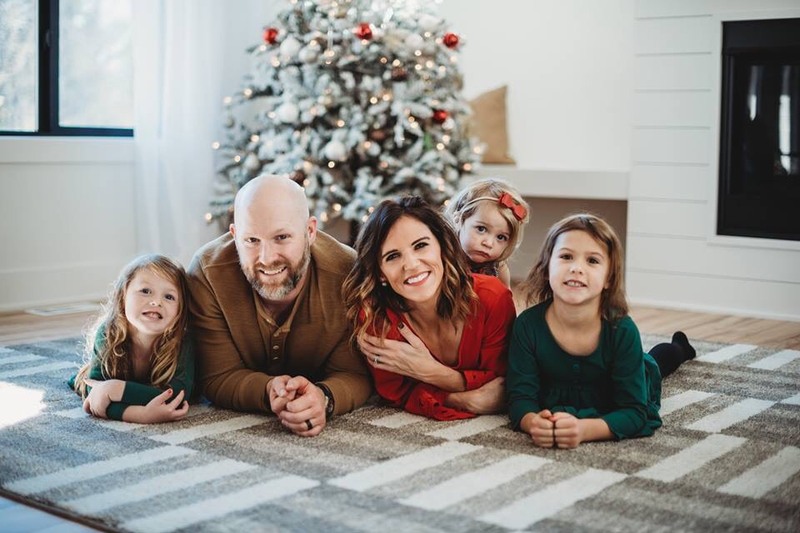 I am a wife to a hunk-of-a-man, Chuck, and blessed with 3 little girls Reese, Everly and Charlie and puppy named Scout. In 2017 I quit every obligation including my job, my commitments, and any other extras to figure out what really matters in life. I came out on the side a little bit lighter and a whole lot happier. In my free time, I am typically googling to see if the mischief of my kids are getting into is normal. 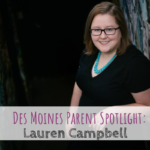 I have lived in the Des Moines area since 2012 and absolutely love the community and all it has to offer! I am the Founder of Catch This Mama which is a podcast, book club, and blog. 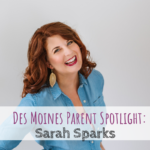 I also am Success Coach and recently launched the first-ever Bomb Mom Getaway to provide solutions to the challenges we face as moms on a daily basis. My passion is to create a space where moms can come to own their mom life. The Bomb Mom Getaway is a weekend retreat located at Iowa’s best-kept secret, Honey Creek Resort. This dreamy weekend is geared for the mom looking to find solutions to the challenges she faces on a daily basis. The Bomb Mom Getaway provides an opportunity for you to unwind, connect and renew for the next season of motherhood. The weekend will be filled with life-giving speakers who will leave you feeling inspired to reach for the stuff that really matters in life. Imagine a weekend where you could take time for yourself, connect with other moms who get you, sleep in your own bed, enjoy hot meals, pursue outdoor activities and ultimately fill your own cup. Mark your calendars for May 17-19, 2019 and go sign up right now as early bird rate ends December 31st! Whenever I thought about whether or not I should take or leave a job or if I should have another child or whatever the decision was, I look at where I can make the biggest impact. I knew moms needed this and I knew I needed them. I’ve got the entrepreneurship in my blood and when I did my soul searching I knew it was the path for me. It’s where I could make the biggest impact on helping others. Reiman Gardens, Local Farms (goat farms, cow farms, produce farms, Jester Natural Playscape). We hit up a happy hour special at a place like Eatery A or Gastro Grub and Pub, have a great cocktail and maybe see a band outdoors, or just go to a hotel where we can actually sleep for an entire night uninterrupted by three kids and a puppy in our bed. That is a dreamy date night. You can have it all. It just might not be at the same time. When I quit my job in 2017 I knew I was leaving behind a career I had worked so hard to build. I left it all because I knew my family needed me things to be different for me. My Father In Law passed away this year and he told me the day before he passed that I should be with my children. That I’d have 30+ years to build my career even after they were in school. That meant something to me. If I can build an empire while raising my kids, great. If I slowly chip away and build that empire while mostly raising my kids to be good humans, then that is just fine too. You need not to conquer it all at the same time because then what would be left to live for?